With their eyes firmly trained on winning medals, Olympic medallist Sakshi Malik and Asian champion Bajrang Punia will spearhead the Indian challenge at the World Wrestling Championships, starting here on Monday. 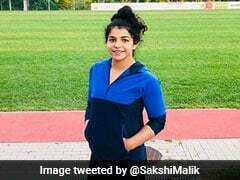 All eyes would be on Rio Games bronze-winner in 58kg, Sakshi, who bagged a silver medal at the Asian Championship in May after climbing up a division to 60kg category. Having qualified in the same category for this championships, Sakshi would be hoping to do one better when she takes on the mat on Thursday in the women's wrestling competition. Vinesh Phogat, another silver medallist at the Asian Championship, will also fancy her chances in women's 48kg. Although Vinesh had won the Asian Championship silver in 55kg after making a comeback from an injury she had suffered during the Rio Games, the 22-year-old is back in her preferred 48kg category. Besides Vinesh, none of the other Phogat sisters are part of the World Championship as two of the most famous --Geeta and Babita -- didn't even participate in the trials, while the younger ones -- Ritu and Sangeeta -- failed to qualify. Meanwhile, in men's freestyle, bronze medallist of the 2013 Budapest edition, Bajrang would be eyeing a gold this time around with his confidence high after finishing on top of the podium at the Asian Championship. 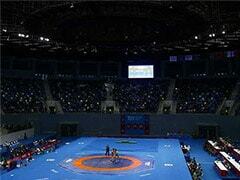 Bajrang, who had bagged a bronze at Budapest in 60kg freestyle, has now climbed up a division to 65kg. However, he looked pretty comfortable in his new weight division as he fought Asia's best wrestlers in this category a few months ago to emerge victorious. Although he ensured a berth at the World Championship just about 10 days ago, Bajrang proved far superior when he thrashed Rahul Mann 10-0 at a special selection trial held here on August 12. Earlier, Mann had emerged the winner in 65kg during the selection trials held in Sonepat last month, but Bajrang submitted an application to the Wrestling Federation of India (WFI), communicating his inability to take part in the trials due to viral fever and requesting that the final trials in his weight category be held after his recovery. However, when Bajrang recovered, Mann suffered a minor neck injury and the trial could not be held. Subsequently, on the request of the chief coach Jagminder Singh, both the wrestlers travelled to France and the final trial took place before the tournament. Besides Bajrang, India will pin hopes on Olympian Sandeep Tomar in 57kg as he has performed consistently in the last couple of years. A medal at the World Championship is something that Sandeep would want to see against his name. Among other freestyle wrestlers, Amit Dhankar (70kg), Praveen Rana (74kg) and Satywart Kadiyan (97kg), who will be conferred with the Arjuna Award after this championships, are also expected to bring in laurels for the country. The Greco-Roman contest will take place on the first two days of the competition and India will be fielding an eight-member team. Although Greco-Roman has not been India's strong point, the country would be hoping for a couple of them to spring a surprise or two. Squad: Men's Freestyle: Sandeep Tomar (57kg), Harphool (61kg), Bajrang Punia (65kg), Amit Dhankar (70kg), Praveen Rana (74kg), Deepak (86kg), Satywart Kadiyan (97kg), Sumit (125kg). Women's wrestling: Vinesh Phogat (48kg), Sheetal (53kg), Lalita (55kg), Pooja Dhanda (58kg), Sakshi Malik (60kg), Shilpi (63kg), Navjot Kaur (69kg), Pooja (75kg). Greco-Roman: Gyanender (59kg), Ravinder (66kg), Yogesh (71kg), Gurpreet Singh (75kg), Harpreet Singh (80kg), Ravinder Khatri (85kg), Hardeep (98kg), Naveen (130kg).